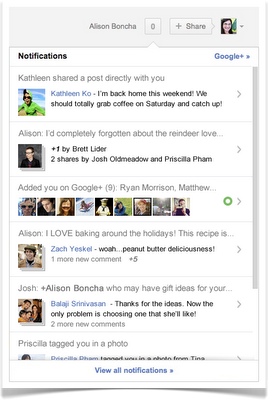 Google+ is doing exactly what a new social media network should do: listening to its users. Google+ finally responded to what anecdotally seemed to be the most requested feature addition -- the ability to have business page administrators. With this update came a few other great new features and upgrades, so let's take a look at everything Google+ has rolled out for its business users and learn what marketers should do with these changes. At last! You have more control over your business page with the addition of administrators for your brand page. Previously, users had to set up Google+ page accounts using a communal login, but now you can assign up to 50 administrators to your Google+ brand page. Administrators also receive notifications of page activity so everyone can stay in the loop, including an aggregated count of users that have engaged with your page by either +1'ing it, or adding it to a Circle. 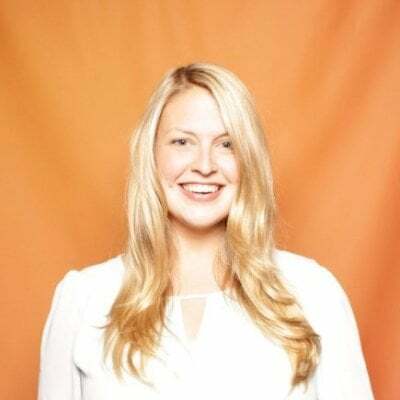 What it means for marketers: Keep your whole social media team on the same page by assigning page administrators, but also consider selecting members from your customer service, support, and sales teams to be a part of the Google+ page. If your social media policy allows for the flexibility of multiple voices chiming in, it's great to extend it to the appropriate people in departments other than marketing. 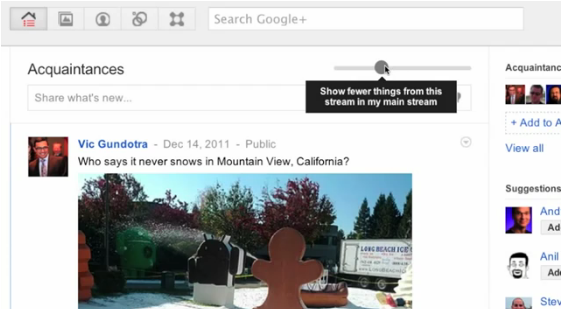 Aesthetic improvements aside, Google+ notifications now give more information about the content you have to consume. Instead of navigating to the content to see what it is, there are now sneak previews that show what's new in your stream. You can also now see the +1s and shares your posts have generated since you last checked. What it means for marketers: With all the sites people check on a daily basis, it's hard to entice people to go into Google+, too. These notifications should drive more people to use Google+ when they are logged in with Google, as the detailed notifications will serve as reminders of the interesting conversations taking place. More frequent use will make it more likely Google+ becomes part of their daily lives, making the time marketers spend on it more worthwhile. We've all experienced this on Facebook and Twitter: when you're following a ton of people, you also have a ton of updates to sift through. And you probably only care about a handful of them. Google+ responded to this by adding "graphic-equalize" controls that let you decide which posts are most important to you, and by extension, adjusting what appears in your stream. When viewing a Circle's stream, there is now a slider at the top right with which you can adjust how posts from that Circle integrate into your main stream. What it means for marketers: Providing interesting and relevant content is more important than ever, because it's easier than ever for people to tune you out. Make sure you're providing the kinds of posts people care about, and consider experimenting with some list segmentation by creating Circles for specific topics if you have an audience with different areas of interest. You can read more about the Google+ updates on Google's blog, including an update that improves the already stellar photo sharing functionality on the social network. If you don't see the updates already, be patient! They started appearing this morning and will be rolling out over the next couple of days. In the meantime, if you're one of the many marketers who was waiting to set up your Google+ business page until page administrator functionality was added, now is your time to shine! Have you set up a Google+ page for your brand? If not, will these changes spark you to join?